Lama Thubten Zopa Rinpoche is the Spiritual Director of the Foundation for the Preservation of the Mahayana Tradition (FPMT), a worldwide network of Buddhist centers, monasteries, and affiliated projects, including Wisdom Publications. Rinpoche was born in 1946 in the village of Thami in the Solo Khumbu region of Nepal near Mount Everest. His books include Transforming Problems into Happiness, How to Be Happy, and Ultimate Healing. He lives in Aptos, California. "In this elegant little book of wisdom, Lama Zopa Rinpoche reveals a lexicon of sound, practical, and transforming advice. Rinpoche's words are like glittering lances that plunge deep into our hearts, cutting away delusions and letting in the light of new truth. This is a beautifully produced book that is comprehensive and representative of Rinpoche's teaching in an accessible form. 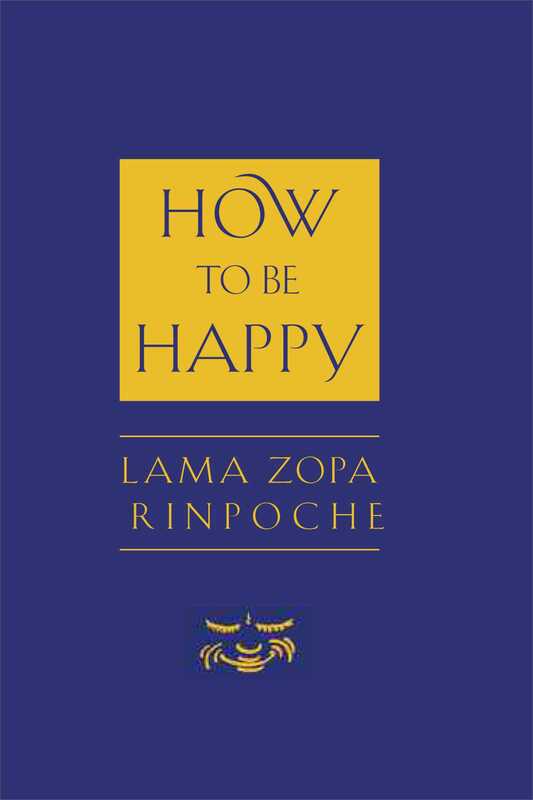 With the path to happiness distilled for young and old, it would make the perfect gift for family and friends who may not have had the good fortune to meet Lama Zopa." "Lama Zopa Rinpoche's profound aphorisms are mind blowing and heart opening. His ability to essentialize enlightenment in the most direct and simple language is astonishing. 'What if all happiness, anywhere, is your happiness?' he asks. The only adequate response would be to awaken to the inseparability of self and others--in deepest wisdom, love and joy." "Profound Buddhist teachings on turning every step of life into the wisdom-light of happiness are distilled here in simple words for both advanced and beginning meditators." "A wise and inspiring teacher." "Rinpoche presents basic but profound Buddhist precepts in an unusually accessible way." "How to Be Happy has sharp, direct observations and advice on how to find compassion for those we perceive as enemies and for dealing with negative thoughts and difficult conditions in life. The book ends with three guided meditations that are easily followed." "How to Be Happy, is like a pocket website of pithy teachings organized for easy searching." "This little treasure is perhaps the best source for us to find out what it is that will truly make us happy. How to Be Happy is equally valuable for both Buddhists and general seekers of peace and serenity."